Over the past week of Chinese New Year holidays, movie theaters proved more popular than ever to the country’s reunited families, with homegrown blockbusters setting a slew of box office records. 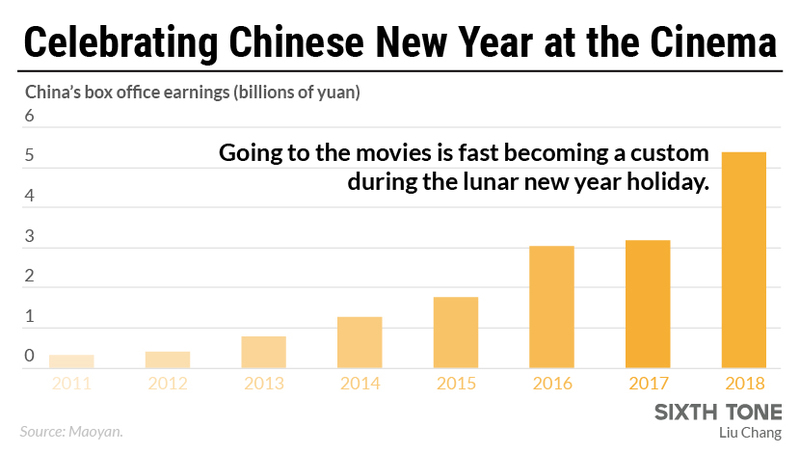 By Thursday, box office earnings for the previous six days had reached 5.6 billion yuan ($880 million), a rise of 67 percent compared with last year’s figure, according to the China Movie Data Information Network, under the state media regulator. Feb. 16, the first day of the lunar new year, set a new single-day box office record with 1.26 billion yuan in sales, topping the 806 million yuan brought in on the same day last year. With other Spring Festival traditions such as lighting fireworks in the streets facing restrictions because of safety and pollution concerns, Chinese people have turned to cinemas as more wholesome alternatives — so much so that the term hesui pian, or “new year movie,” was coined. Feng Xiaogang, for example, is one of the most commercially successful directors of such films, many of which feature all-star casts. At first, hesui pian were generally popcorn flicks: mindless and fun, but lacking substance. Later, however, more genres began to emerge, though they all shared the common theme of catering to families. The lucrative hesui pian market has brought cutthroat competition. This year, the major players are the fantasy-comedy sequel “Monster Hunt 2,” the second installment in the “Detective Chinatown” crime franchise, and the mainstream action flick “Operation Red Sea,” which tells the story of naval officers evacuating overseas nationals and battling terrorists. Due in large part to an exhaustive promotional campaign, “Monster Hunt 2” jumped into the lead on the first day of the new year, raking in around 540 million yuan. The film’s production company spent over 200 million yuan on advertising, including a special monster-themed McDonald’s and slogans painted on buildings in the countryside — as rural residents contribute considerably to box office revenues. 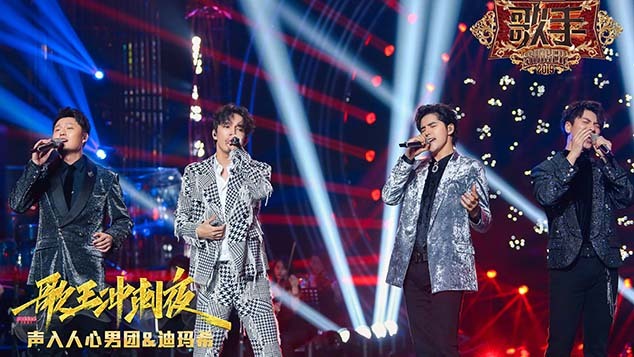 But with another film, “Detective Chinatown 2,” receiving better scores on movie review website Douban, “Monster Hunt 2” was soon leapfrogged at the box office as well. All of the films to premiere during this year’s Spring Festival were produced in China. Notably, the Chinese distributor for “Black Panther,” Marvel’s latest record-shattering release, has postponed the film’s China debut until March, despite the fact that it premiered in other countries during the lunar new year. Recently, the central government has encouraged the production of domestic movies — particularly those that toe the Party line — with favorable policies and even cash subsidies. 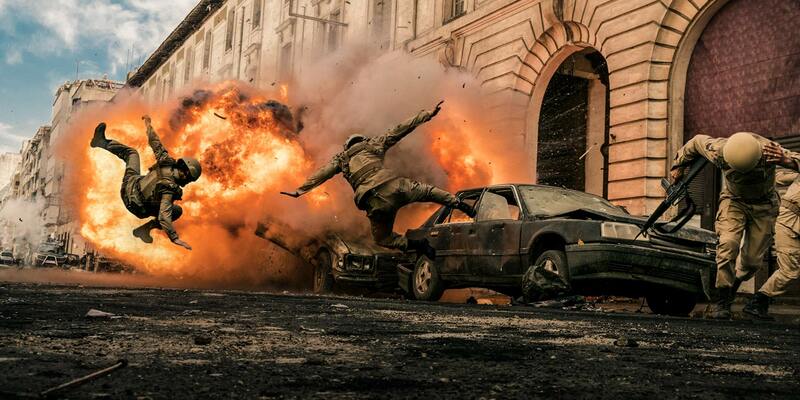 Some moviegoers have drawn comparisons between “Operation Red Sea” and last year’s equally action-packed “Wolf Warrior 2,” which currently holds China’s all-time box office record. Both share similar themes of heroism, pride, and patriotism, and “Operation Red Sea” followed in its predecessor’s large footsteps by coming away as the surprise winner in single-day ticket sales after the Spring Festival holiday.